Sterling blue cabinet looks exotic. Blue is the color of spirit and devotion to work. Metal netting on the front panel looks magnificent. Top lid have excellent finish and also looks inevitable. The material used to make this cabinet is outstanding plastic with thick strong metal panels and finish/goods mesh filter. It also has a glass window for fantabulous look with a neat finish. We took care of all the metal edges it finishes smoothly, so there is no chance of cutting yourself or damaging any cable/ports. 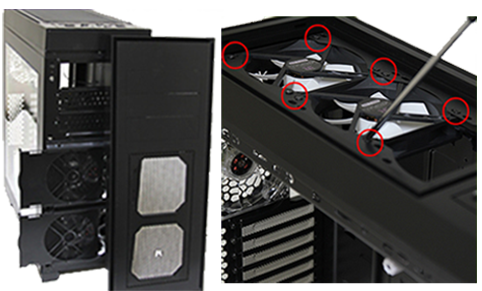 Gamemax comes with 5 pre-installed fans and you can also install up to 7-9 fans. (1 additional fan is of 120MM at the bottom, the 1 with 120MM fan after the HDD stack and each HDD tray can hold 80 or 90MM fan). 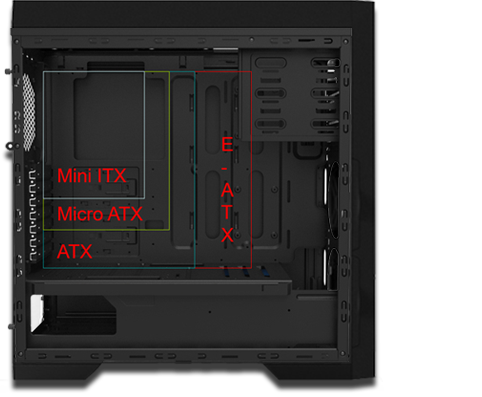 You guys will get the liquid cooling option and ports at the top back for the piping. Marking for all fans, motherboard and power cable connections are neat and clear. Cable management feature come up with lots of placeholders, crimps and openings provided. This cabinet has enough clearance provided by the right panel with enough bulge. This monstrous cabinet has an enormous space for 7HDDs. 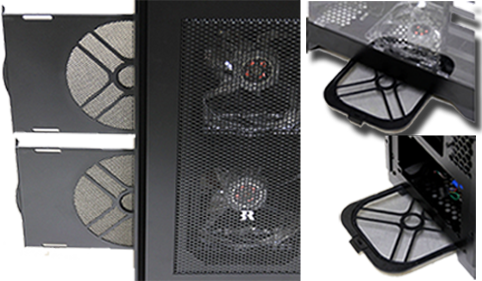 Middle bay with 3HDD trays are easily removable to fit a gigantic 410MM graphic card. Docking bay at the top for 2.5” HDD is a very useful feature that any drive can fits in there perfectly. By pressing two points at the back, top mesh filter came out popping and fits in with the same pop in feature. 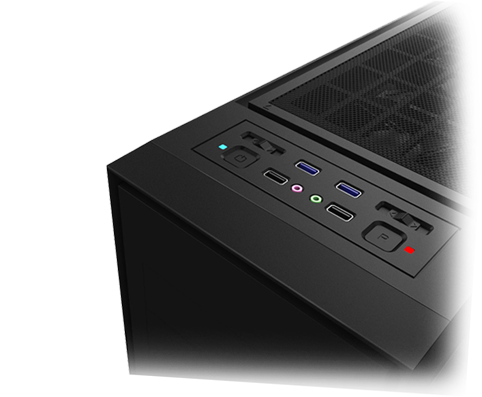 Gamemax has 2 USB ports of 2.0 and 2 USB ports of 3.0 in the front panel, what else you can ask for? All ports include USB, headphones, mic connectors have a string rubber cap covering for dust protection. If you are a peace loving person, then you can have a total silent machine and super cool efficient system. You can switch off all the case fans completely with the 3 switches top, front and bottom panels. 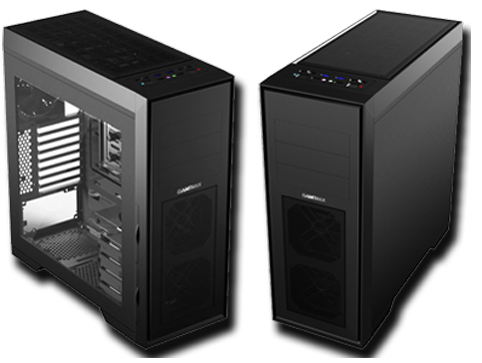 Gamemax provides dust filters at the front, bottom and top for ultimate cleaning purposes and obliviously built for extraordinary experience for you gamers. At Mofotech, we give proper box packaging with lots of clearance to protect dents/dings which can come during the transport and handling.